Gary Hirshberg (born 1954) is president and chief executive officer of Stonyfield Farm, the world's largest producer of organic yogurt. The New Hampshire company, which began as a small organic farm, still abides by the original principles on which Hirshberg and others founded it back in the early 1980s: to make a healthy product and earn a profit without harming the environment. Hirshberg and Kaymen finally managed to grow their business by putting together a group of nearly 300 investors. Some were friends interested in socially responsible businesses, while others were venture capitalists who believed that the U.S. market for organic dairy products had terrific potential. After building a 20,000-square-foot plant, Stonyfield Farm thrived during the 1990s, enjoying a growth rate of nearly 20 percent annually, and introduced new products such as frozen yogurt. Eventually, however, the venture capitalists wanted more of a return on their investment, and Hirshberg now president and chief executive officer struggled with the decision over whether or not Stonyfield should become a publicly traded company. When his wife, Meg, was diagnosed with breast cancer in 2001, Hirshberg and Kaymen board chair for the company entered into a corporate partnership with Group Danone. The French giant is the parent company of Dannon yogurt, and received a 40 percent stake in Stonyfield in exchange for its $100 million investment.
. But I did have 297 partners. And I feel I did a deal with the best devil out there." Hirshberg is also a founding partner of O'Naturals, a chain of fast food restaurants in New England that serves fresh, organic fare. The idea for this venture, which is separate from Stonyfield Farm, originated on a road trip Hirshberg and his family took along the California coastline. They assumed they that healthy food would be easy to find in the notably health-conscious state, but were surprised to learn otherwise. A self-described radical hippie in his earlier years, Hirshberg now runs a company that was expected to post revenues of $250 million in 2006, but he asserted that he had come to terms with what his peers back in the 1960s might have called selling out. "My role as father and perhaps one day grandfather, and as a man who loves this planet, requires nothing less than shelving my own rebellious instincts in favor of this run at the biggest prize of all market dominance," he told Pamela Accetta Smith, a writer for Dairy Field . "Commerce is the most powerful human force on earth, and only by marshalling this force can we hope to begin to restore our planet to a place that will support and nurture life." 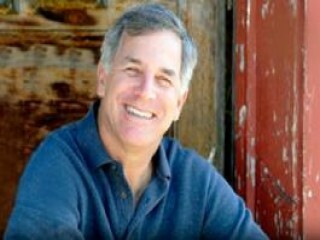 View the full website biography of Gary Hirshberg.